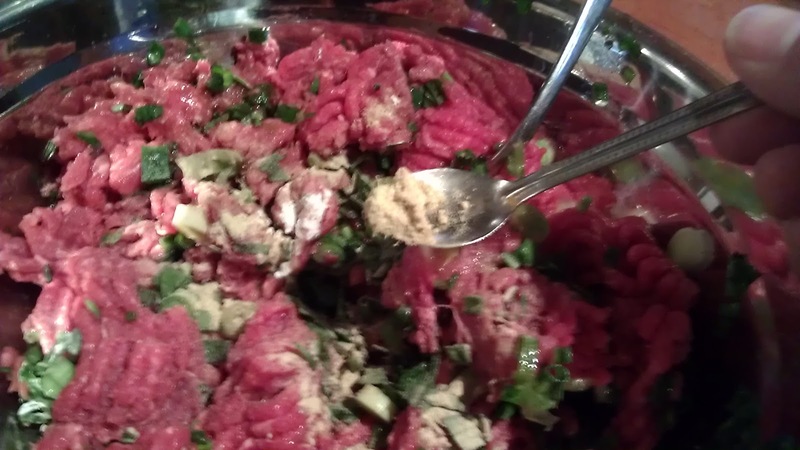 Hawaiian is the ultimate melting pot, our foods and cultures are a fusion of different ethnic groups. 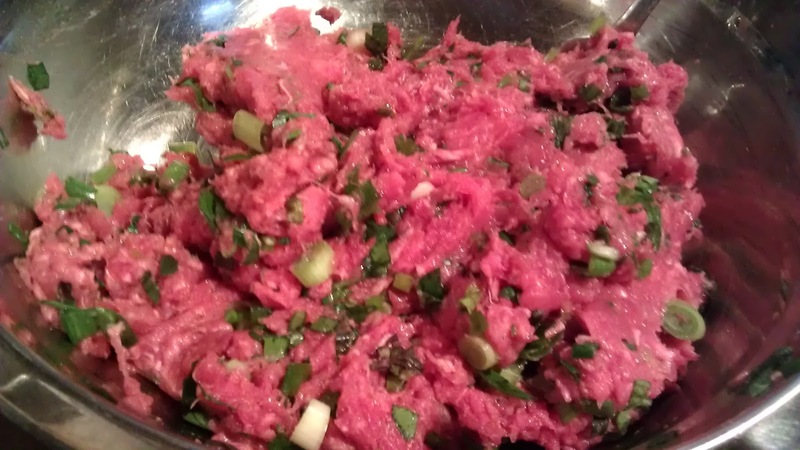 Gau Gee is a very popular appetizer on the Islands, especially on Superbowl Sunday!! My dear friend/blogger Moni of Foodie Forever inspired me to make some this weekend. It is very simple recipe. 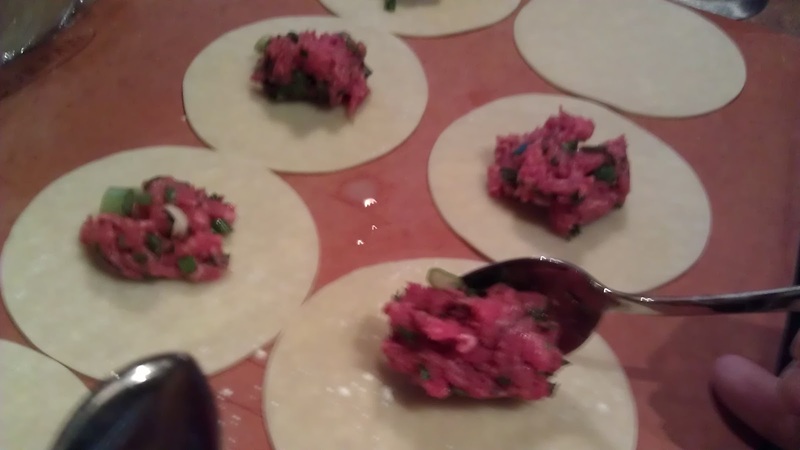 Traditionally, the filling is pork and may be with shrimp. I am making a beef version with a "Kūlia" twist with some Thai basil and garlic chives. 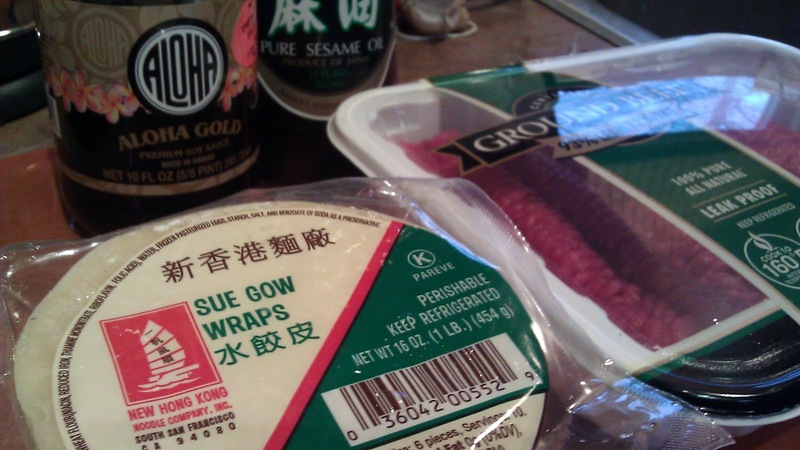 Gau Gee is actually Chinese, it means dumpling in Cantonese. 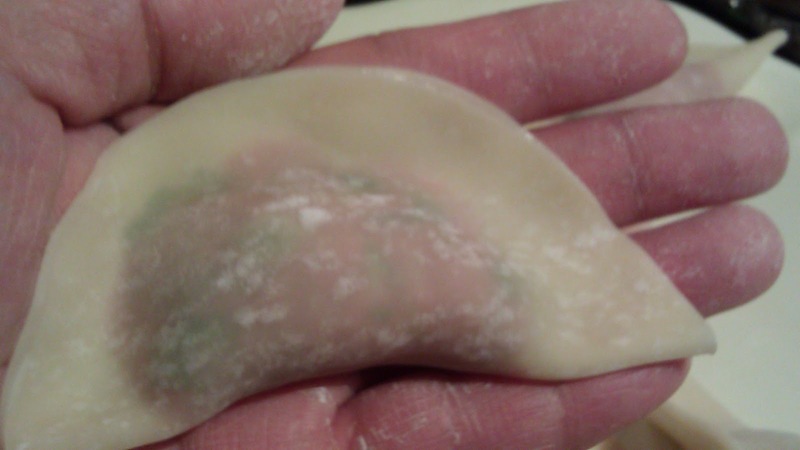 Chinese will usually have it steamed, in soup or as pan fried pot stickers style. They are usually not deep fried. The classic Hawaiian style is fried. We Islanders do love our fried food! 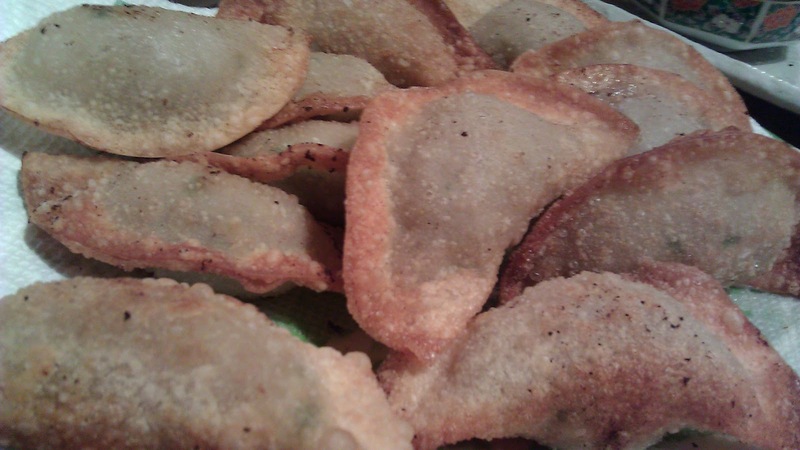 I made one full recipe here, I only fried a few. The rest were laid out on a tray separately and it is in the "natural" freezer outside right now. It's 2 degrees F. I wrapped up the tray and left it out, it will be frozen in about 15 mins! I can then store them in a Ziploc bag! 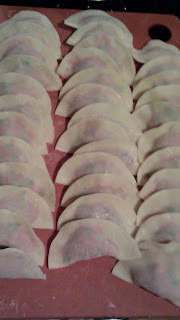 When I am ready to make some dumpling, I can easily take a few out at a time. The wraps are store bought. 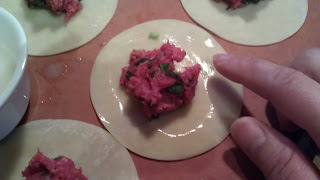 I am using a Hong Kong style soup dumpling wraps from the Asian Store. You can easily substitute with the wonton wrapper in your local grocery stores. 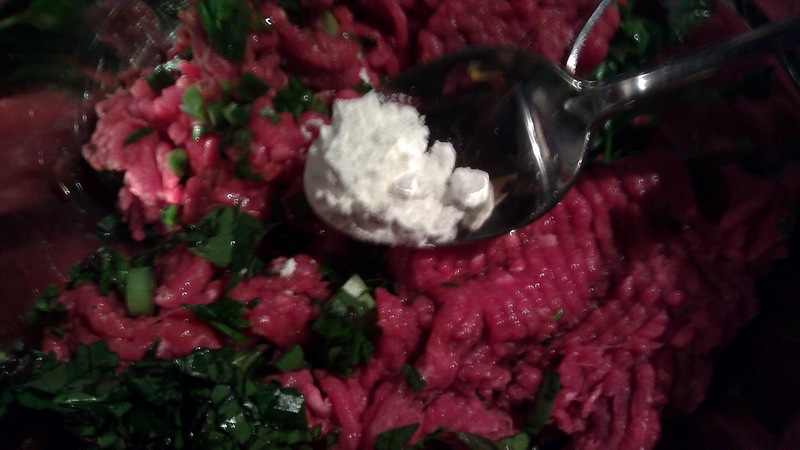 1 tsp flour with 1/8 cup of water. 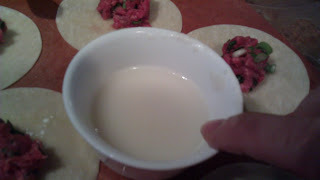 Mix together to make the "glue" to seal the edges of the dumpling. 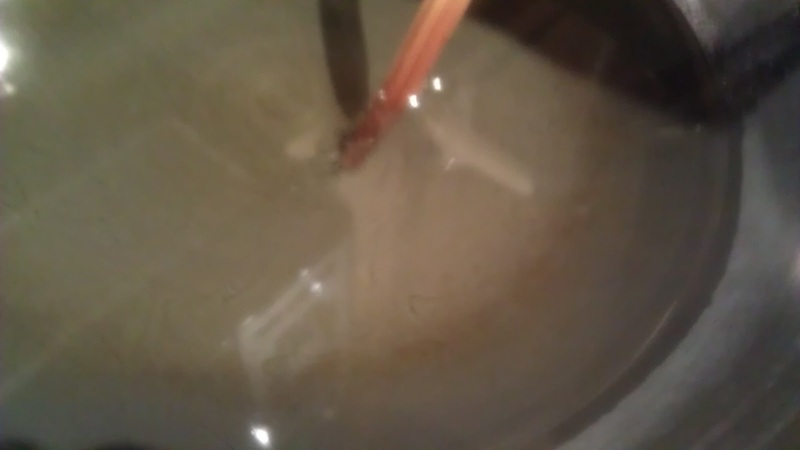 It is a rather thin mixture. 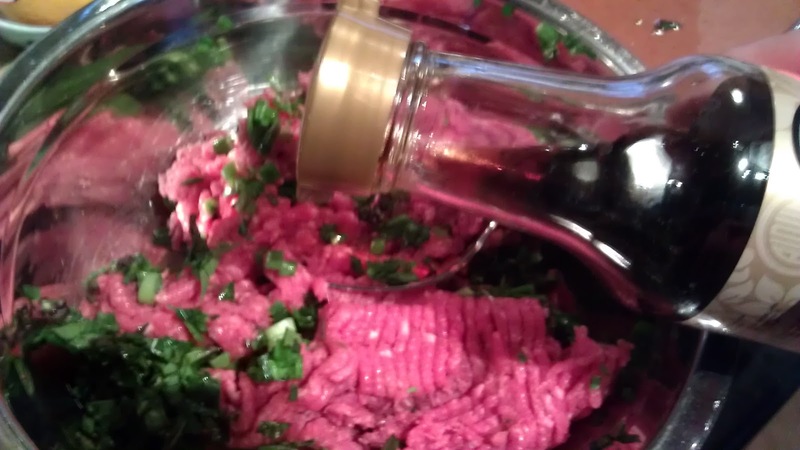 Oil for deep fried or pan fried. Add 1 tsp cornstarch, this helps to reduce the moisture in the dumpling and it will splatter less when you fry it. 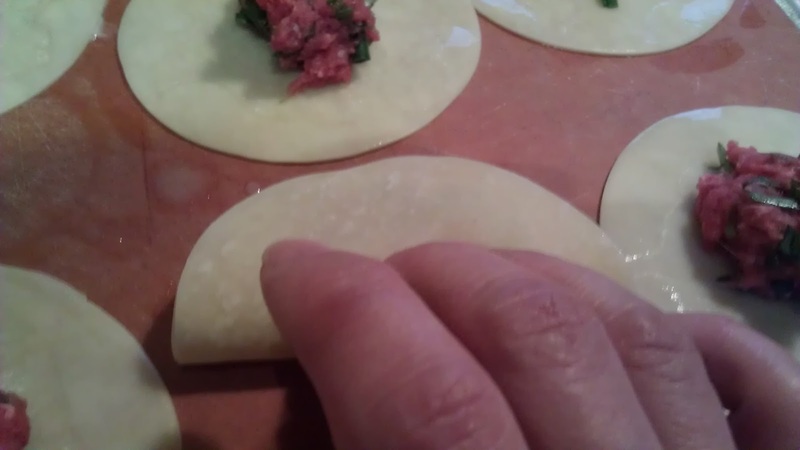 On a large board, lay out a few dumpling wraps, you should have only the amount you can work with at one time. 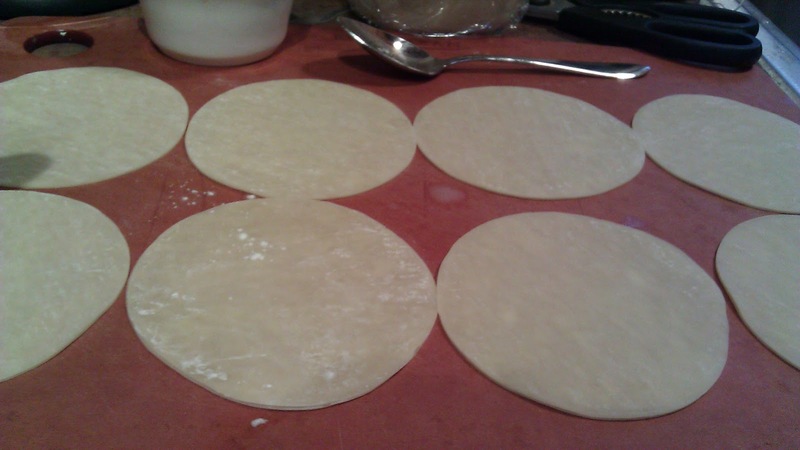 The wraps will dry out and crack. Also over the packet with a wet towel. Place 1 tsp of filling in each center of each wrap. Fold it in half and press the edges tightly to seam. 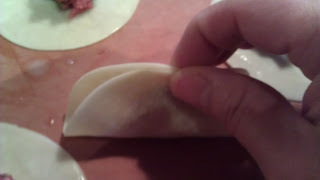 Make sure you press as much "air" out of the dumpling as possible, this will avoid it exploding in frying. Continue with the rest of the filling. 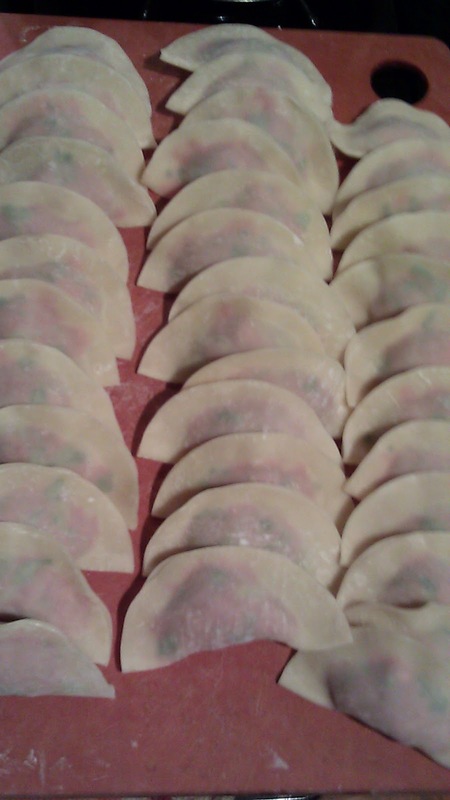 This will make 36 dumplings. 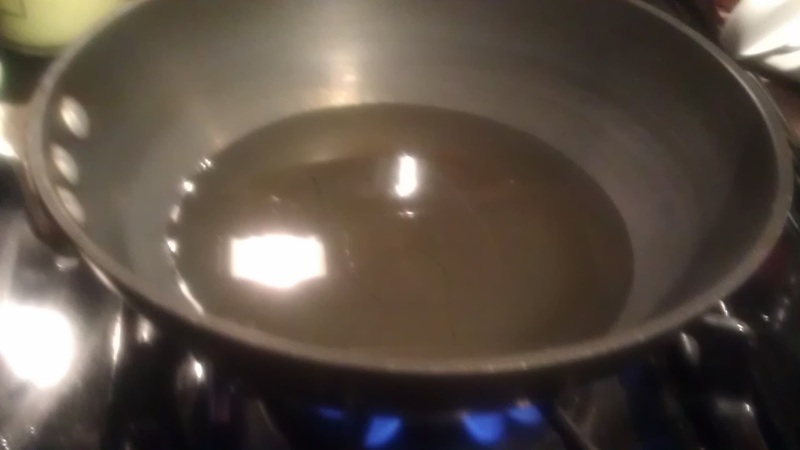 Prepare a deep fryer of a pan of oil, about 1" Heat the oil to 350 degrees. I am using the classic "Chinese" method here. When you place a chopstick in the hot oil, you will notice the oil with bubbles along the side of the wooden chopstick. The oil is ready for frying. 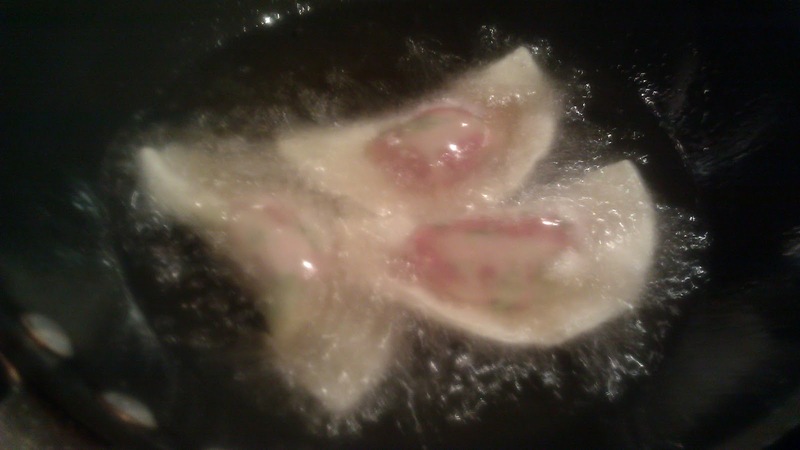 Place a few dumplings in the hot oil and fried till golden brown, It only takes 2 mins on each side. 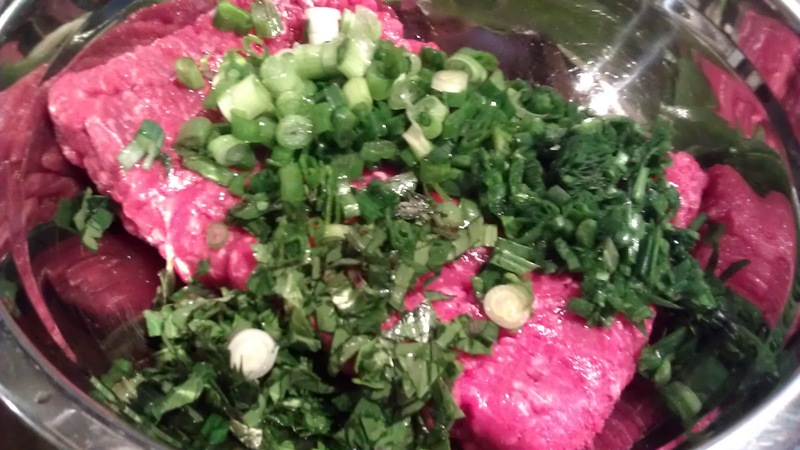 Serve with a Shoyu vinegar sauce, ketchup or sweet and sour sauce. Mahalo loving your site. Aloha!! !